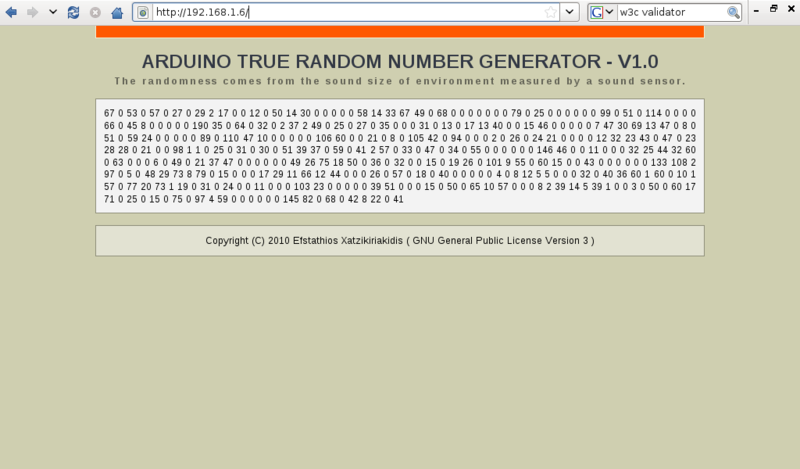 Arduino: True Random Number Generator. This project refers to an Arduino sketch that implements a true random number generator with the help of an audio sensor. The sensor measures the sound volume in the nearby environment. The Arduino acts as a network device with an appropriate WEB interface in it from which we can access the random numbers. This technology is not new as it exists in other network devices. For example, routers or network printers have a WEB interface. The WEB interface is installed in the Arduino itself and is supported with the help of a simple but quite progressive web server (which is also located within the Arduino). 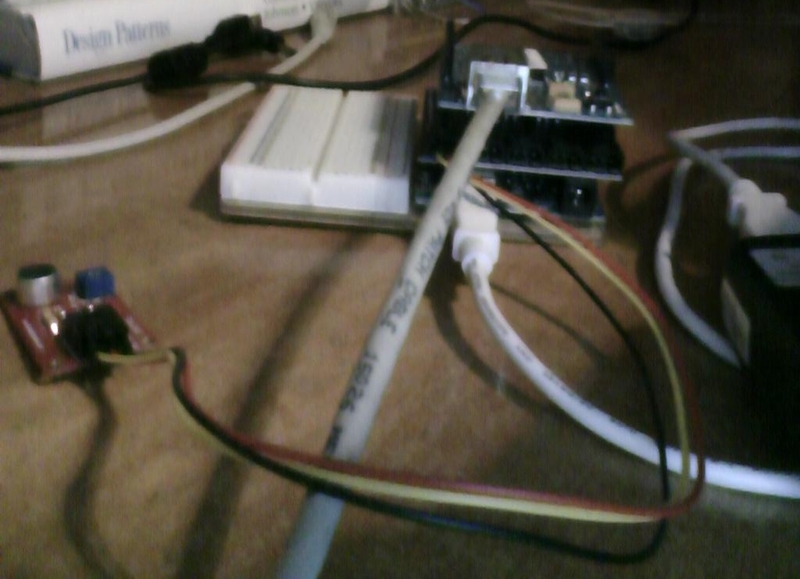 The Arduino is connected to the Internet with a special Ethernet card (Ethernet Shield). The Ethernet card is assigned with a static IP (because the Arduino in this case does not work as a client but as a server since the web server is executed there at port 80). To enable the sound sensor to collect really random values as regards the volume of sound in the environment, it helps to place it in a noisy room or near a radio. Various images of the application. How about a box that has been sprayed with an overdose of ant pheromones and contains inside a vibration or touch sensor. The attraction of insects to the box and their movement inside it will generate random vibrations. I think it is quite economical. Well, ants will also need food occasionally. This will be offered by spraying substances. Basically, it works as a WEB application (since it is connected to the internet with an Ethernet card and has integrated web server) and should automatically generate the random numbers. The mouse movement requires a man to cause. As for television, it is interesting enough but it is wasting much power. There are several ways to achieve randomness. Their combination may provide with some good reliability. What you mention consumes much energy. However, I think a sound sensor with a radio close is enough. If we need peace and quiet, we will have to think about alternatives. Both light and temperature are changing very slowly and can be easily calculated. Very clever… what would you think of a photoresistor at the analog input? 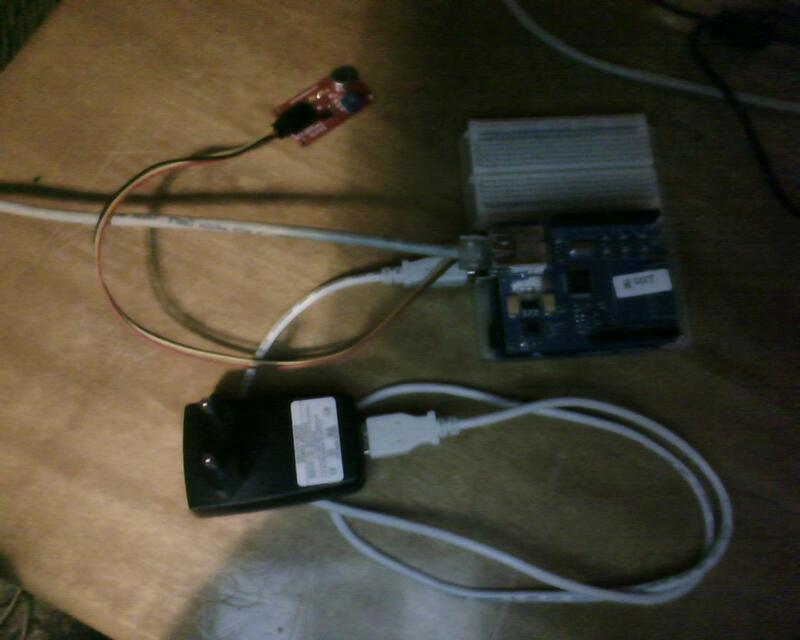 « Arduino: Device Control (open or close) via a relay and voice recognition.